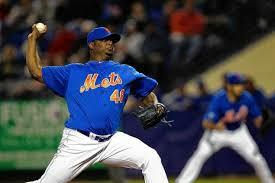 After 130+ games former Met closer Frank Francisco is finally back off the disabled list. He faced a few batters in today’s game vs. Cleveland and actually got the win. Francisco is playing out the last few games of his dubious Mets career. There is a zero percent chance that Frank is back with the Mets next year. Once his $12 million dollar deal expires next month he will be a free agent, never to be seen as a Met again. There were a few reports today that many Met players weren’t thrilled to see Francisco in the Mets clubhouse today. This was the worst deal Sandy Alderson has made as a Met, no doubt about it. Francisco was mediocre before he got to the Mets and worse after. He missed the entire year with a phantom injury and reportedly told Jenrry Mejia to stay on the Disabled List to collect Major League Money. It’s a relief that this contract will be off the books soon. Frank Francisco advised Jenrry Mejia to remain in Port St. Lucie to collect his Major League disabled list money during his rehab assignment, rather than work his way through rehab and go back to the minor leagues, organizational sources told Andy Martino of the Daily News. “It impressed the Mets when Mejia opted to tune out Francisco,” Martino added. Francisco reportedly recently received two cortisone shots in his elbow and could be cleared to resume throwing this week. He has not pitched in the Major Leagues this season. Mets doctors can’t find anything structurally wrong with Francisco. This is just a horrible story and the idea that not only has Francisco been a colossal waste of money but he has been poisoning some of the young minds like Mejia down in Florida is terrible. 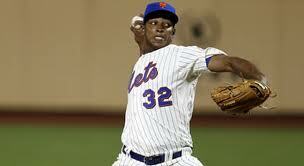 Francisco was a terrible signing by the Mets after signing a two year deal worth 12 million prior to the 2012 season. If he doesn’t plan on pitching this year and doctors can’t find anything wrong with him it doesn’t make much sense for the Mets not to release him. When the Mets signed Francisco it was a questionable signing at best because the guy has had character issues in the past and at his best is an average reliever. Even when the Mets had their solid first half last season Francisco had an ERA well over 5. As for Mejia he has put himself back on the map and remember he is only 22 years old somehow. Mejia will be on the mound Wednesday night in Miami. According to Jon Heyman, the Mets are set to place SS Ruben Tejada on the 15 day DL with an injured quad. Tejada had left last night’s win vs. the Yankees with an apparent injury. 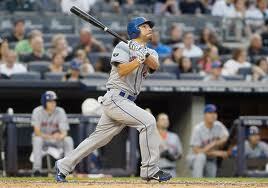 The Mets have called up Omar Quintanilla from Las Vegas to take his place. The Mets will also have to make a 40 man roster move in this transaction. Quintanilla did a nice job filling in for Tejada last year when Ruben got hurt. Quintanilla is a steady glove and was hitting well in the hitter friendly pacific coast league. Expect Omar to play everyday. With the way Tejada was hitting, Quintanilla will feel like an upgrade to Mets fans. Tejada was on the verge of being demoted after another puzzling game in the field. I thought Quintanilla should have made the team out of spring training as the team didn’t actually have a backup shortstop on the roster. The interesting thing is, they never were even punished for it as they never really gave Tejada a day off. Hopefully some time off will do Ruben some good as they will need his defense and his old two strike approach if they want to climb back into this race. UPDATE 11:25 a.m: The move is now official. 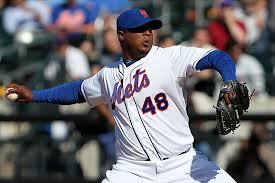 To make room on the 40-man roster for Quintanilla, the Mets moved RP Frank Francisco to the 60-day DL. According to Adam Rubin of ESPN New York, Frank Francisco will be moving on to Double-A Binghamton to continue his rehab this weekend. Francisco was awful last season but at this point he really can’t be much worse than the guys that they have been sending out now. The Mets bullpen has been awful this year with the 4th worst earned run average in the majors. Francisco was shutdown early in March after experiencing discomfort in his elbow and has been on the disabled list since the end of Spring Training. It sounds like if Francisco is activated Jeurys Familia would be sent to the disabled list to make room on the 25-man roster. Familia has been dealing with bicep tendonitis. 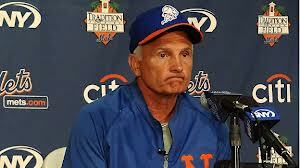 Today in Terry Collins’ first press conference of the season, Collins gave a state of the Mets. Johan Santana will be his Opening Day starter. Bobby Parnell will be his closer on Opening Day now that Frank Francisco is hurt again. Lucas Duda will be the team’s everyday leftfielder. Collins isn’t upset the Mets didn’t sign Michael Bourn because he is only concerned about the guys he has. Collins is very happy that 55 of the 58 players arrived to camp early or on time. He cannot envision a scenario where Zack Wheeler makes the team unless he is by far the best player on the field for the Mets. Travis d’Arnaud will be playing every day either in the majors or at Triple A Las Vegas. Zack Lutz and Justin Turner will get extended looks in spring training. Collins doesn’t see David Wright getting a “C” on his uniform chest anytime soon but that doesn’t mean he isn’t the captain. According Terry Collins, Frank Francisco’s elbow is acting up again and Bobby Parnell will be the new closer. Francisco has elbow inflammation that will keep him from throwing for a while. I’m just dealing with the same stuff,” Francisco said, alluding to last year’s elbow issues. “I was playing catch. … My inflammation hasn’t gone down 100 percent. So they decided to shut it down for a little bit, until my inflammation goes down or my elbow gets better, so we can start a new program.” Francisco also said he is at zero percent right now because he can’t throw. Terry Collins said that Bobby Parnell will be the new closer “We keep talking about 2014, [bleep] why not get a head start?” said Collins on using Parnell as the closer. Parnell was dominate as the closer in September and had his best statistical year in 2012 but he has struggled as the closer on numerous occasions. Parnell has a great arm and is definitely the Mets best reliever even if Francisco is healthy so this makes a ton of sense. Brandon Lyon will now be the 8th inning guy but its possible Francisco is ready for Opening Day as the inflammation is not considered serious. At this point it would be unwise to expect anything positive out of Francisco for the Mets this season. 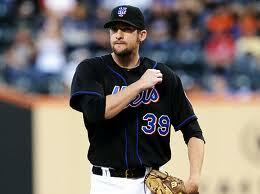 The Mets are better off for now and the future by using Parnell as their 9th inning guy despite a few growing pains. The Mets announced their one year contract with Brandon Lyon worth around $750,000-$900,000. Incentives can raise the total to around $2.4 million. This is a good deal for the Mets because it gives the team insurance if Frank Francisco falters or gets hurt. The Mets are adding a solid reliever for about a million bucks. It paid off for Sandy Alderson to be patient in this scenario and the bullpen is definitely better than it was at this time last year. Terry Collins has already acknowledged that he wants Frank Francisco to be his closer. Whether that is the right move or not, at least the Mets have other options for a backup now that they didn’t have last year. 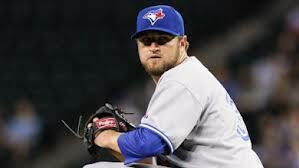 Lyon will probably start the year in a middle relief role like the 7th inning where Bobby Parnell gets the 8th inning.